Lending an unmatched appeal to this maroon colored sweatshirt from the house of ALCiS. 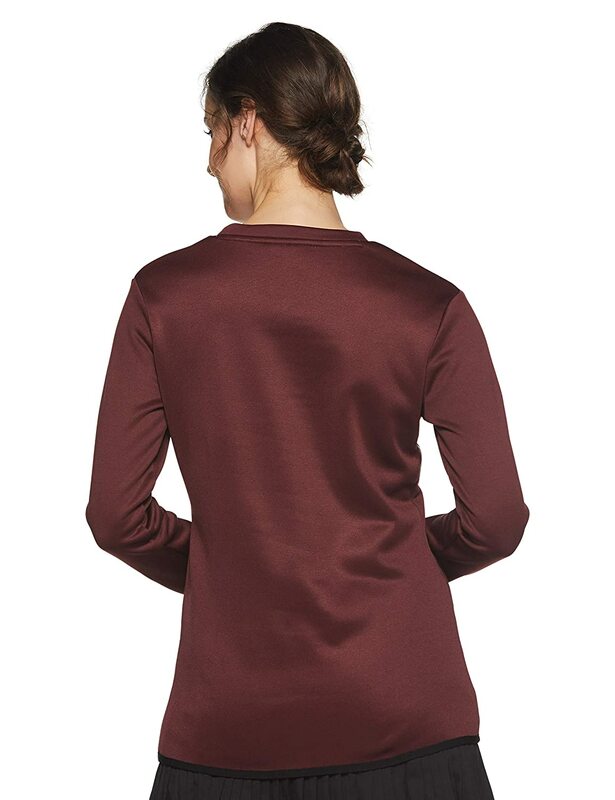 The soft 100% polyester fabric makes this sweatshirt for women quite comfortable to wear. 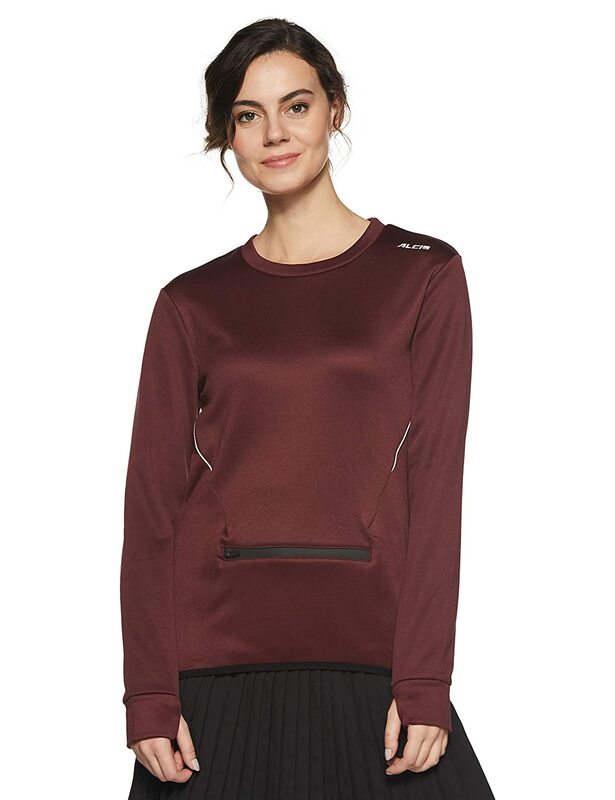 Pair up this sweatshirt with black tights and trainers.